The 2018/19 Season is underway now with patrols on every weekend. The roster and schedule of patrols require considerable time pre-Season to manage. Special thanks to James Rogers, Belinda Hartmann and the Lifesaving section for their hard work putting it all together. One of the most important documents released by SLSA in the Off Season is the Safeguarding Children pack. We place utmost importance on member protection within our Club and especially the protection of our younger members. Please see the below link for resources, the handbook and also training. 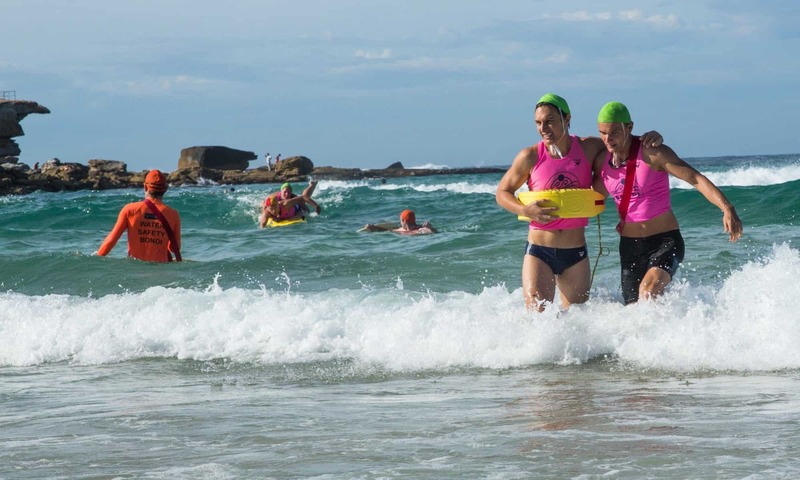 I encourage all members involved with Nippers, Education, Lifesaving and Competition to take the time to go complete the training. As a service for our members, we will be having 2 Skin Cancer Specialist Doctors at the Club on 10 November (further dates TBA depending on demand). The service will be bulk billed to ensure members are looked after and will be only available for current financial members at first. If there is demand and free spots, we will then open it up to family members of financial members. We would encourage all members to have regular skin checks, please click Skin Checks to go to the try booking site to book in. This weekend, we will have a Life members’ meeting prior to bottles. Come down after 5 to meet some of our Life members and hear some great stories. Lastly, get your patrol, bronze group, friends and work colleagues together for the club’s major fundraiser – Bondi Legends Lunch. Tickets and information are below. Lately we have received complaints about the free weights. Heavy weights have been left on the Smith Machine and around the floor, sometimes blocking the door to the gym. As in any working gym, it is mandatory to tidy up after yourself. If you use weights, please put them back where they belong. Do not leave the machines with weight on them, as it damages the machine. One extra bit of work at the end of your program will help us maintain the gym in good working condition and allow other members to use the machines and weights. You can look at this as a ‘sneaky workout’. Money raised on the day will finance the club’s voluntary lifesaving activities. A percentage will be donated to the RUOK ? Foundation. Highlighting 2 generous local businesses that support our Club! 10% discount to Bondi Surf Club members (when up to date member badge shown). "We are a locally based brand and manufacture in Australia. We enjoy being part of the local community. Surf Clubs are an essential part of Australian culture"
"we want to support the local community"
There are lots of other businesses out there offering our Clubbies some great discounts. Not sure which ones? Look out for the new Bondi sticker these local businesses have in their shop window. And don’t’ forget to check out the Member benefits poster in the Club to discover new businesses supporting us. Important note: to access these discounts you must have an up to date Member Badge with the current (2018/19) season date. If you don’t already have one, follow the link and find out how to get your 2018-19 year tag. This Saturday, we are having an Open Day from 1.00 to 5.00 pm to make sure you have all stocked up on swimmers, uniforms, Merchandise, etc. We will be having discounts on this day only – hoping this helps you get what you need for the Season. Daylight Saving Sunday brought heavy rain that only saw the bravest or most foolhardy venture out into a miserable morning that had not improved much by race time. After the Proficiency Test had already been cancelled and consulting with Charlie Cotton the Patrol Captain, it was reluctantly agreed that the conditions were downright dangerous. Accordingly, the races were cancelled and a goodly group went in for a dip anyway. Hopefully the sea and sun will do us proud this coming weekend. But whatever happens be down there and enjoy the moment. The Bondi Amateur Swimming Club started its 127th season on 7 October and has races from 25m to 400m from 9.00am each Saturday morning. This includes form strokes and is spread over a two week cycle. Attending will certainly sharpen your times and improve your surf race abilities. This week will finish with a 400m dash. There are free learn to swim classes for members from November and some stroke correction to members as well. If you have any queries, the Office can direct you to a Swim Club rep. The Season may have just started, but Bondi’s team has been training hard all winter. Hard work and dedication paid off for our Coolangatta Gold competitors over the weekend. The conditions were challenging for both the short course and long course races, but Bondi was all smiles as each competitor crossed the finish line. Congratulations to long course finishers: Pep Font, Juliann Desjardins, Louise Santos, Calvin Brodie, Greg Byrnes; and to short course finishers: Sep Khanbeigi, Gary Emmerton, James Rogers, Justin Biggs, Isabella Dobozy, and Max Gonzalez; and teams Bondi Coolies, Bondi Bullets, Bondi Internationals, and Bondi Dewth. The logistics of Coolangatta Gold requires a team effort. A big thank you goes to: Gary Emmerton, Pep Font, and Robert Chapman for getting our team race ready, Angus Chard and the Hackers family for managing the transition areas, Rob Harvey for driving the trailer home, and all our family and friends for cheering everyone to the finish. We are looking to grow our R&R section. Anyone who is interested in competing is invited to a pre-season briefing on Saturday, 20 October at 10:00 am. Location TBD. We will be holding our proficiency for Bronze and SRC on Sunday 4 November, followed by a BBQ. Please give a warm welcome to 13 of our newest recruits, our second Bronze group to kick off this Season – the Rip Riders. Saturday 27 October has the first big 3 proficiency. Come down and get it done first! New proficiency sheets have been posted around the club & on facebook. There are changes coming to the IRB proficiencies so stay tuned for those updates. Waverley Council is partnering with South Eastern Sydney Local Health District (SESLHD), Education, Primary Health Network, community leaders, Family and Community Services (FACS), Police, and local councils to offer the community training to respond to young people’s mental health issues. Work and support youth in South Eastern Sydney communities. For up to date information download TEAM APP, join BONDI NIPPERS as a ‘parent and nipper’ as well as any Age Groups your child is in. Please also check out the Nippers Season calendar.